Today we closed a chapter in the history of State Records NSW. Government Recordkeeping, including the Digital Recordkeeping Team, moved premises. State Records has occupied the building at The Rocks since 1978 when the (then) Archives Authority of NSW separated physically from the State Library of NSW (it was administratively separate since 1976). The premises, with frontages on Globe St and Harrington St, was custom-built for us by the (then) Sydney Cove Redevelopment Authority. We originally occupied 4 levels of the building, but over time much of our operations have been moved to Kingswood, which is now our headquarters. In recent years we have only occupied Level 2 of building at The Rocks, with Government Recordkeeping using the windowless space that once housed the records! With further budget constraints, it is now to time to move on. The reading room in the City is to close at the end of June 2012 and public access staff are being relocated to Kingswood. 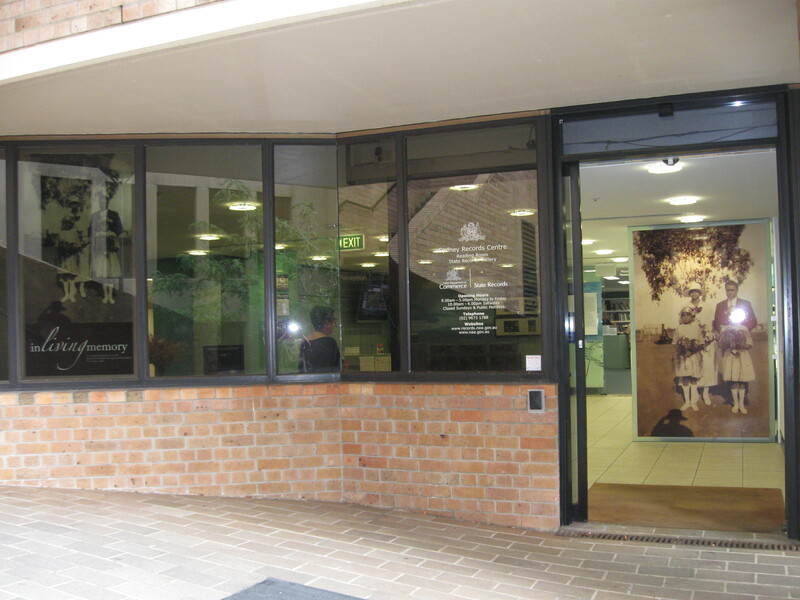 From today Government Recordkeeping is now occupying reduced space in the Lands and Property Information building at Queens Square, opposite Hyde Park in the City. We will be using LPI’s existing training rooms within the building for much of our training. If you need to get in touch with Government Recordkeeping staff please note that our telephone numbers have changed. The new telephone number for general contact is (02) 8257 2986 (the phones will be manned later today). All email addresses will remain the same. All written correspondence should be sent to our Kingswood address at State Records NSW, PO Box 516, Kingswood NSW 2747.